Blooming information withheld to protect the plants. 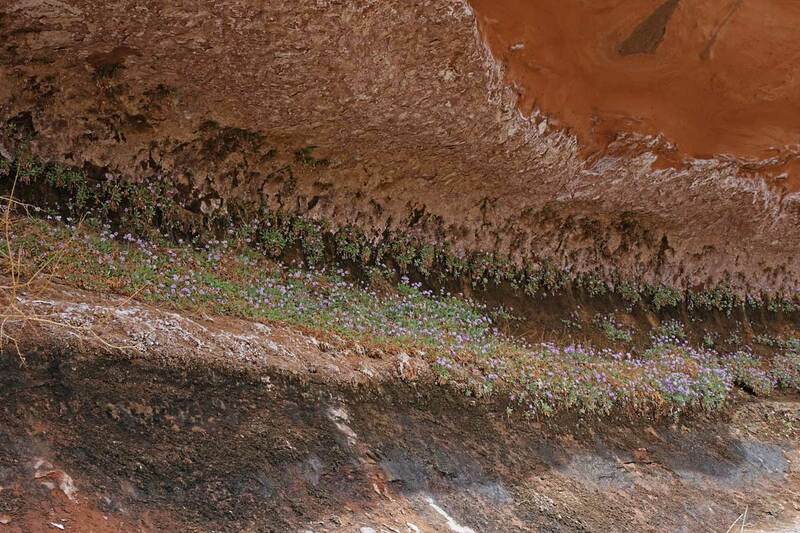 This lovely Colorado Plateau endemic (see the map below) produces clusters of flowers in delicate shades of pink and lavender. 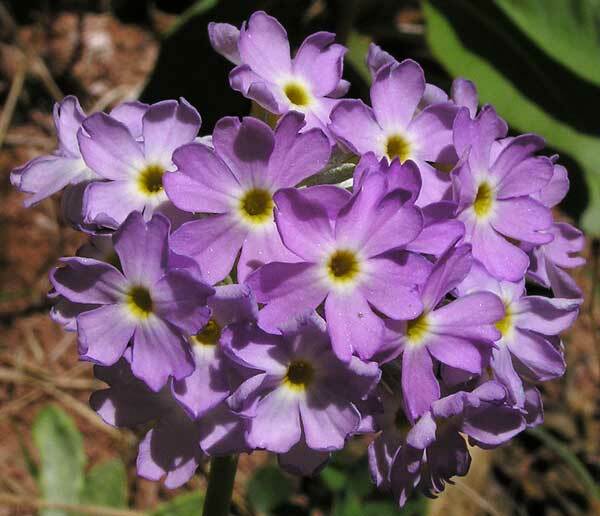 At maturity plants can be from 2-10 inches tall and each plant can have umbels with anywhere from 5 to 40 flowers. 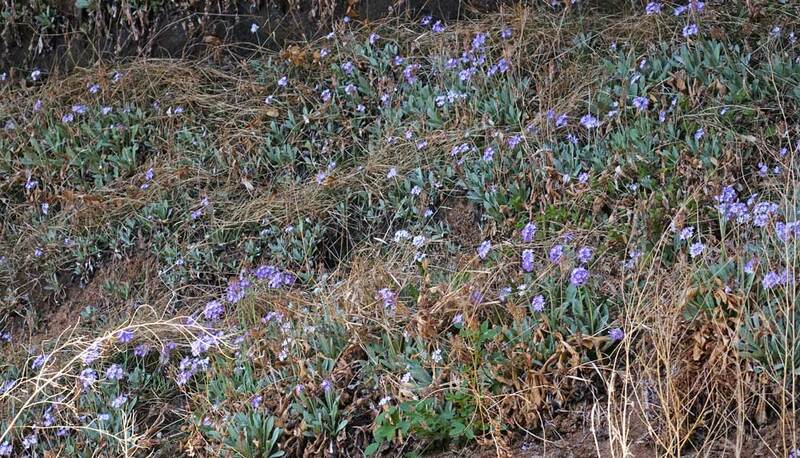 Leaves over-winter, are prominent very early in the spring, are bicolored with a soft green upper side and a white lower side, and have a bead-like glisten to their surface. 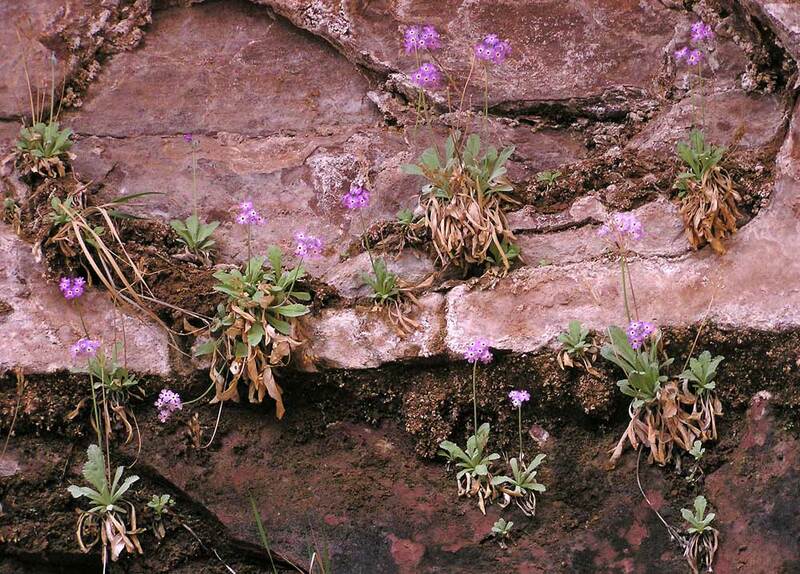 Primula specuicola is often abundant in its special habitat, which can vary from a shallow indentation in a low or high rock wall (as shown immediately above) to relatively deep alcoves as shown in the top two photographs. 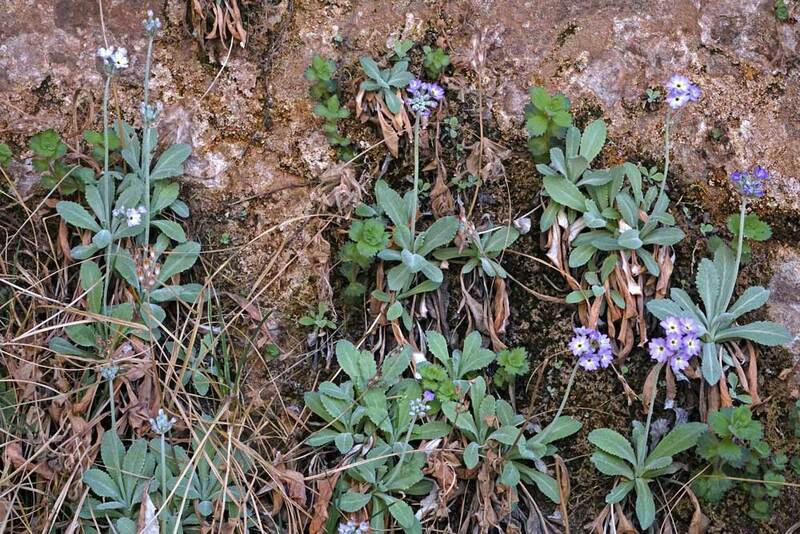 The mass of Primula specuicola shown in the top photograph is growing in the shadowy recesses at about 3 o'clock in the view from above the huge horseshoe-shaped alcove. 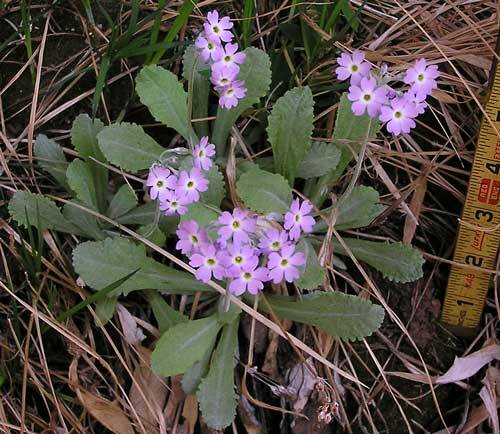 Linnaeus named this genus in 1753. 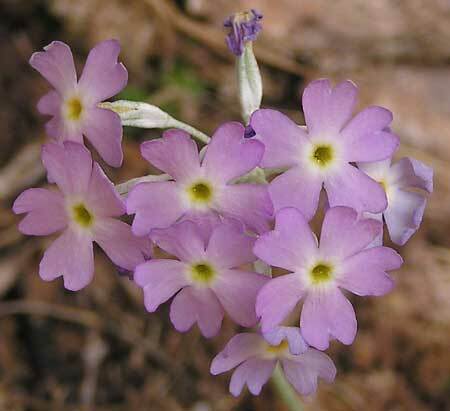 "Primula", from the Latin for "early spring", refers to the plant's early blooming time, and "specuicola" is Latin for "cave" "inhabiting'. 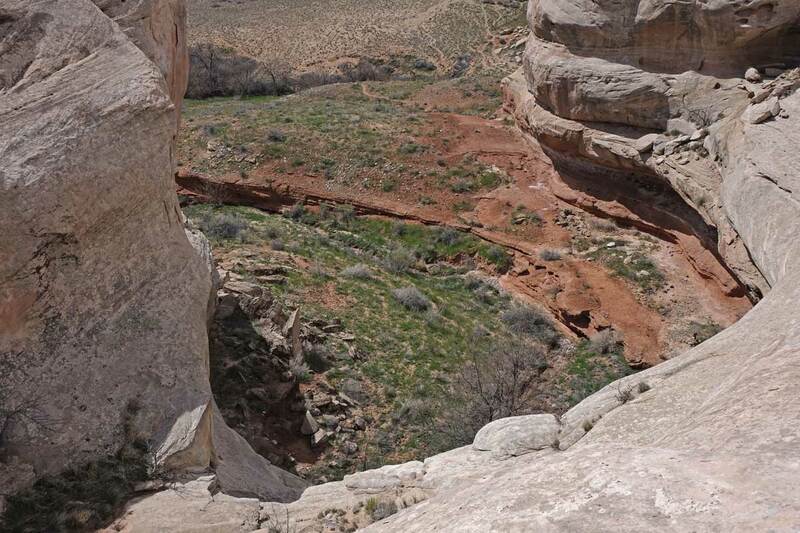 Per Axel Rydberg discovered this plant for science in Utah in 1911 and named and described it in 1913. THAN ABOUT 10 FEET, FOR IF YOU DO YOU WILL ERODE THE SANDS THEY GROW ON. LET'S NOT LOVE THEM TO DEATH.